In today’s marketplace, customers report being nearly 60 percent through the purchase decision process before ever talking with a sales rep. That’s a finding of The Digital Evolution of B2B Marketing, a January 2013 research report by Google and CEB. Online information is more influential in buying decisions than ever before, which is why we’re hearing so much about content. 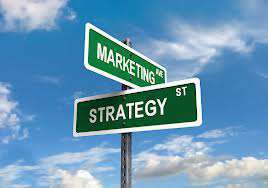 It’s an integral part of the marketing strategy for B2B and many B2C businesses. Effective content marketing can build brand loyalty as well as sales leads and conversions, and at a lower cost than traditional marketing methods. Establish your objectives. Consider where you are now and what you can realistically accomplish. Research what content your competitors are publishing, what is engaging buyers and what is not. Understand your buyers. Who are they, what information are they looking for in the buying process, and what search devices are they using? Conduct an inventory of your existing content and identify gaps. What is missing from the information customers are looking for? Build content. Identify the key messages you need to deliver. Generate ideas for providing content around each of these messages. Determine quality standards for consistency and credibility. Build a roster of contributors, considering candidates inside and outside your company. Plan multiple uses for your content. Plan targeted distribution channels. Publish your content where your buyers are searching. Use relevant social media. Build landing pages to make it easy for buyers to find the information they need without navigating multiple layers. Measure return on investment (ROI). Track performance of your content by measuring traffic, sales leads quality and social media sharing. What content gets the most engagement with your buyers and prospects? How can you build on this success? With so much opportunity available through content marketing, it can be overwhelming for many small business owners. Page Progressive is a resource to help you with all your online marketing needs including content. Please contact us with your questions, and we will be glad to assist you.